Laravel is a free PHP web application framework specifically to develop web applications. Being one of the most popular frameworks of PHP, there has been witnessed a phenomenal rise in the popularity of this application along with Yii2, Nette, etc. The main reason for such a popularity is its extensive features, including high readability, modular packaging system, and its orientation toward syntactic sugar. The best feature of Laravel is that it is not like CMS or E-commerce frameworks which can satisfy your specific needs. It is considered as an all-rounder with the help of which you can build perfectly working CMS or ECommerce Web application. The very basic reason to choose Laravel over other alternatives is that it is very easy to get started with. All you require is the basic knowledge of PHP and you can easily develop a five-page website in just a few hours. Depending on the statistics of Google trends, Laravel is the best and the most used framework. This is due to the fact that it can handle extremely big projects with ease. As a result, many companies have already adopted this framework. Implementation of authentication techniques becomes very simple when you are working with Laravel. It also provides a simple way to organize authorization logic and control access to resources. Before any application is available for the end users, Testing is important. Laravel provides a facility for Unit Testing and also ensures the stability of application through many tests. 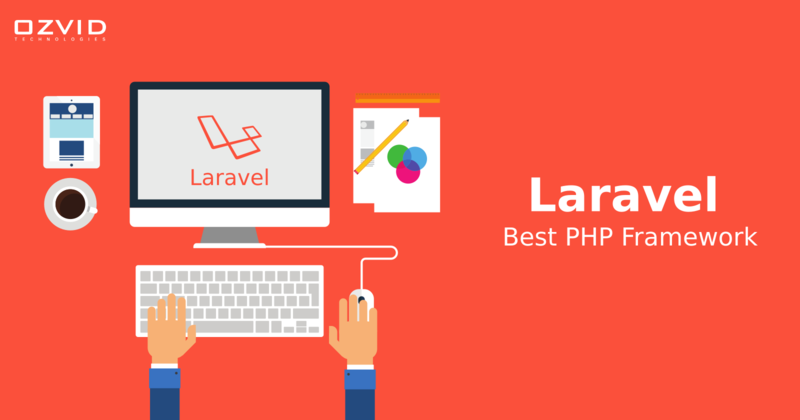 The next feature that makes Laravel the best available option is that it is free, open source framework which allows you to build large and complex web applications. You just require to install PHP and a text editor and you are off to go. If you are a developer, then it is very common that you may get stuck in several problems. To get out from such a situation, you need proper guidance and support to become a strong player among others. If you report any bug or security breach in the framework, response of community is quick. You can use plain PHP code in your application if Laravel ships with blade template engine by default. Template Inheritance & sections are the two primary benefits of using blades. It allows you do stuff like define sections, extend views, etc. To make your application secure, Laravel offers you several essential things. It includes Laravel’s ORM to prevent SQL injections. There is Laravel’s csrf protection available which prevents cross-site request forgery. All you need is to use the proper components of the framework. When we talk about web development, transparency between business logic and presentation plays a major role. Laravel has plenty of built-in-functions including MVC which increases performance and provides better documentation. Migration can be explained as one of the key features offered by Laravel as it allows you to maintain database structure of application without re-creating it. Hence, Laravel is one of the best frameworks in industry. It runs effectively regardless of the platform you’re running your system on. Laravel Development is very necessary for this competitive market as it supports various measures into consideration that streamline difficult tasks, saves a significant amount of time and reduces the overall cost of development.